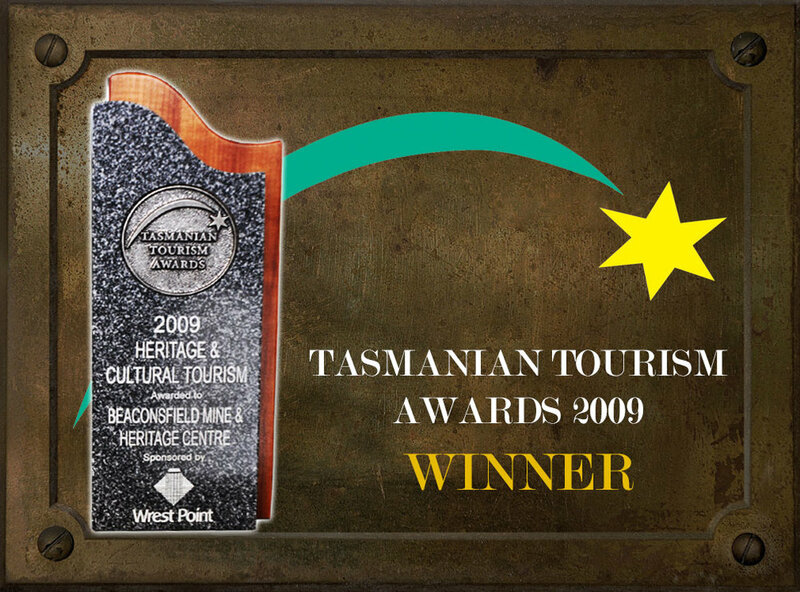 For three years running we have been recognised on a state level as the winner for Best 'Heritage and Cultural Tourism' Award-beating the better known Port Arthur Ruins in both 2009, and 2010 and 2011. Now recognised in the TICT "Hall of Fame", we are definitely a must see place to visit when on the North coast of Tasmania. From a tourism perspective the Heritage Centre remains an asset as a very positive and integral part of sharing the stories of our heritage and culture with our visitors from all over the globe. 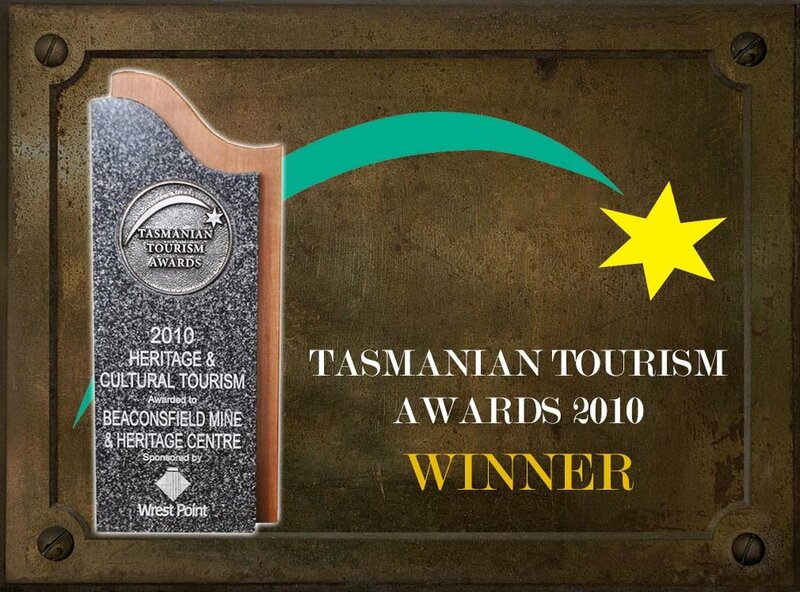 Museums Australia’s Multimedia and Publication Design Awards saw the Beaconsfield Mine & Heritage Centre collect two awards. The Awards presentation was held at the Newcastle City Hall, NSW on Monday 18 May. The event hosted by Museums Australia, celebrates design excellence in all areas of publication and multimedia. Out of the 12 available awards in the category that the Heritage Centre was eligible in, the Centre was awarded best website and best poster by a panel of judges selected from Museums across Australia. The website which was result of a collaborative project between West Tamar Council staff, designer Julia Dineen, from Julia Dineen Designs and Professor Chris Keen from e-logistics. The website portrays the character and the experiences of the Beaconsfield Mine & Heritage Centre and aims to inspire visitation. After the mine rescue of 2006, visitors wanted to visit Beaconsfield, but they needed a way to find out what to see and do when they get there. The website provides visitors with an understanding of how they can experience the history of Beaconsfield and the Tamar Valley at the Beaconsfield Mine & Heritage Centre.